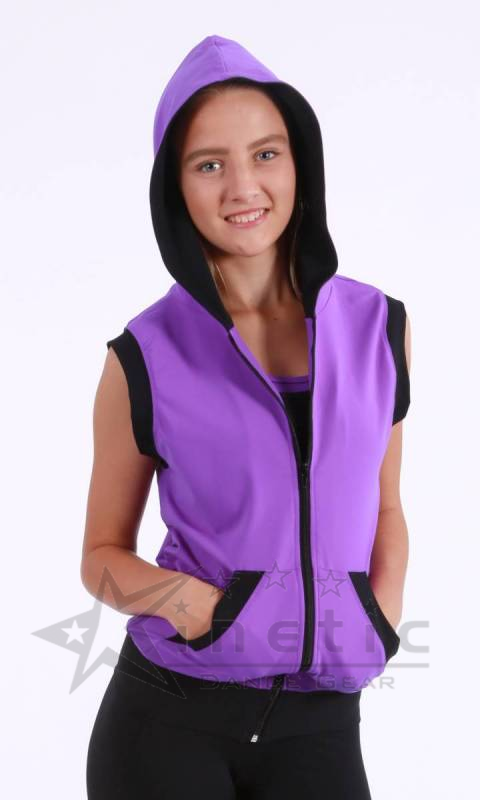 Congo sleeveless jacket with black hood insert (congo on the outside), black banding around armholes and joey pocket. Black zipper. Black sleeveless jacket with scarlet hood insert (Black on the outside), Scarlet banding around armholes and joey pocket. Black zipper.